Pharmaceutical industry has found it important to change their overall business models and also leverage some new found technologies so as to cope up with the current healthcare demands. Most Pharma companies therefore are turning to cloud computing. The primary reason behind this transition of working models in Pharma companies could be the on-demand scalability as well as timely agility which are needed by them so as to balance the varying requirements and needs of the current markets. Pharmaceutical Industry consume the present-era cloud services in the form of SaaS or software-as-a-service. After multiple years of constant resistance, Pharma industry is now accelerating in full flow towards this cloud adoption. As a matter of fact, the global cloud computing healthcare market has been valued at $4.5 billion in the year 2016, which would be reaching to $9.5 billion by the year 2020. Some highly dominant advantages draw these companies towards cloud adoption. This include scalability and agility of cloud that helps in better R&D, enhanced clinical research as well as cost saving benefits too, but cloud security issues have been hindering this cloud adoption by the Pharmaceutical industry. Quick cloud migration from paper-based medical records to EMR or electronic medical records has made these sensitive patient databases as luring targets for cyber criminals and raising the risks of data thefts and data breaches. Compliance regulations also have made it incumbent on the pharmaceutical providers to secure their critical data against disasters or risks. A leading pharmaceutical firm based in Asia has undertaken its operations internationally. They develop, manufacture and sell pharmaceutical and nutraceutical products all over the globe. This pharmaceutical company had been established long ago in 1973 and takes pride in having a legacy of producing very high-quality branded medicines, generic drugs, active pharmaceutical ingredients, and nutraceuticals. These are marketed in and around 50 countries worldwide including India as well. 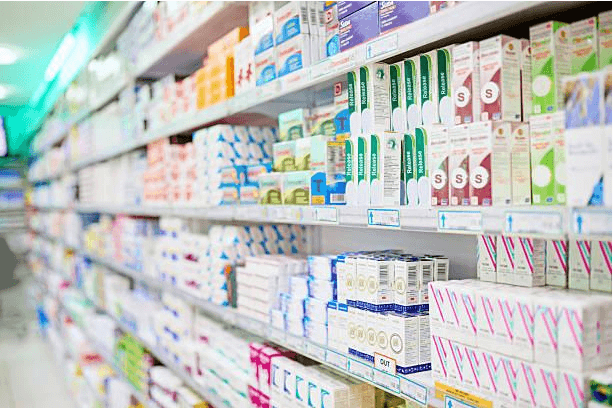 Having a wide portfolio of innumerable brands covering main therapeutic segments and robust pan-India sales/distribution network, this Pharma company deployed G Suite after considering and acknowledging G Suite benefits, which can avail for increasing their productivity levels after moving to cloud based work environment. But, very soon, they found out about the pitfalls of this new working system, which primarily revolved around the lapses in the cloud security systems with the current cloud working systems. It wasn’t on their agenda to come back to the conventional working model, because advantaged of cloud-based work networks in terms of productivity was something they didn’t want to lose, but surely the management was eager to take steps towards cloud security options that they can avail to avoid data theft risks associated with cloud-induced free data access. While using G Suite, the company’s IT staff encountered some unpredicted though inevitable problems, which were all arising because of free data access by the users mainly through the access allowed for personal Gmail accounts, in absence of any proper restriction policies in place. G Suite, as they felt, was somehow lacking in the required cloud security protocols. Another concern that they had was with the use of weak passwords by company’s employees. Logging to personal Gmail surely gives the much-needed work flexibility to employees as they can freely access data anytime anywhere, which in turn improves work productivity manifolds. But, seeing it from the other perspective, data gets exposed to people with malicious intents and this can lead to data leakages and data thefts. Now, one major requirement for this company was to block access to personal Gmail accounts inside the office networks. They were also looking to infuse some strong password policies into the system for their users and to also restrict IP address. The firm realized that their cloud networks were certainly not safeguarding their sensitive data enough. The search then began, this time around for a Cloud Access Security Broker. What they were looking at was some robust and reliable CASB solution. For this, CloudCodes CASB solution came as their initial option, which materialized into a certain choice after the trials, in which CloudCodes experts ran them through their CASB solutions through multiple used cases on several managed as well as unmanaged devices. So, all-in-all, their cloud security concerns were effectively addressed by CloudCodes CASB solution. Customized CASB solution came to them from CloudCodes as per the requirements including Personal Gmail Block, IP Restriction and Password Policy in the Access Control module; which helped them ensure cloud security. Their search helped them a great deal in making their cloud-based work systems much securer.